You may have heard that there some changes to the US tax code recently. What you heard is likely some mix of truth or fiction/hyperbole and perhaps you need some help figuring out which is which? If you are looking for a professional take on the new tax rules by someone who can actually explain the changes in simple terms, then keep reading. A great analogy for the new tax laws is to think of them as an update to an old recipe book, kind of like the Joy of Cooking, which has already passed it’s 85th anniversary. The Joy of Cooking has published 8 editions, which have been updated semi-regularly since the 1930s, just like our beloved tax code! A lot of fundamental things about cooking/taxes have not changed all that much, despite some of the hype surrounding the most recent tax “update” from late 2017. Cookies still contain flour, water, butter, sugar and people still pay taxes on types of income and deduct specific things for taxes. Now, the sugar may be organic, the flour imported, or the butter from a sustainable farm, but the way to make a cookie is still intact. The same goes for the tax changes that impact most small business people, the basics are still intact. This discussion focuses on selected tax changes that impact individuals and small businesses, kind of like referencing the Joy of Cooking for the home chef. A commercial bakery would have to work through some pretty complex math to use the recipes contained in the book – converting cups to metric tons – but for the home chef/small business owner, it’s a great reference. Let’s begin with some changes to the tax code that are relatively easy to follow, starting with things that are no longer deductible for 2018 – 2023: alimony and meals/entertainment expenses. These changes would be the equivalent of taking the raisins out of an oatmeal raisin cookie; the cookie picked last is now somehow made worse. Previously, way back in 2017, small business owners could deduct half of their meals and entertainment expenses, now congress is punishing small business owners for eating out too much. That lunch meeting or business vacation is no longer a deduction, unless you are able to get creative. Divorces were already expensive before congress took a swipe at them, now they come without tax breaks! For anyone divorcing during 2019, alimony has no impact on taxes, which is both good and bad, just like an oatmeal raisin cookie (with or without the raisins). Also on the “no longer a tax thing” listing are the personal exemptions, moving expenses, the ACA (“Obamacare”) penalty, and itemized deductions*. The good news however, is that the standard deduction nearly doubled, the child tax credit also doubled*, and the tax brackets were lowered. The combination of these changes, with some positive (lower taxes) and some negative (higher taxes) is a possible decrease in overall federal taxes due. The way to relate these changes is to compare them to a chocolate chip cookie recipe. Imagine if you replaced the regular flour with whole wheat flour and substituted dark chocolate M&M’s instead of regular chocolate chips… and you reduced the sugar and chocolate chips by half. The cookie is going to taste similar, but some people might notice the lack of sugar or wheat flour and not every bite is going to contain chocolate like it used to (but some bites might contain DARK CHOCOLATE!). So, if you like dark chocolate and don’t mind less overall taste (a.k.a. “sugar”), then you might come out ahead during tax time. GMP CPA has not memorized the tax code like we have the Joy of Cooking, but we reference both a lot. 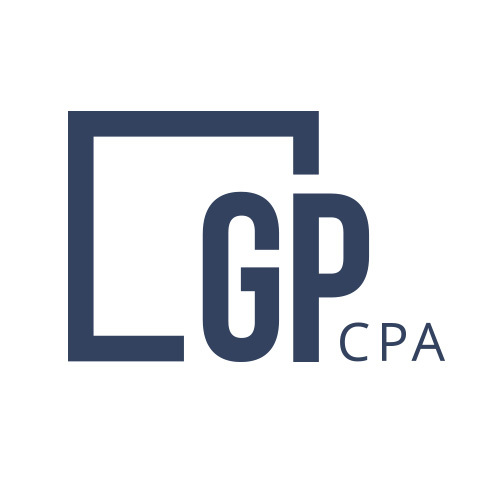 If your current accountant is not the advisor you hoped them to be, or you want more dark chocolate M&Ms in your life, GMP CPA would love to talk to you about your business. We may even bring cookies! * These items are not exact and are referenced in general. Itemized deductions did not disappear, they were just narrowed and the child tax credit is only refundable up to $1,400. Sales Tax in NC: The Impact of the Latest Decision of the Supreme Court. North Carolina has relatively stable and low sales tax rates for a mid-Atlantic state with nearly 8 million residents. The state’s general sales tax rate is 4.75% and depending on the city/county you are purchasing in, the local taxes can range from 4.8% to 8.25%.